I’m visiting my friends in York at the moment and on my first day here we went to the town centre, where Shambles Kitchen came thoroughly recommended from my friends Jack and Wilem. The cafe sits on a tiny winding street with only a few seats inside, however it doesn’t feel cramped or strained for space. The guys on the counter were really lovely and welcoming, a few regulars came and went as we finished our lunch, giving the place a really friendly feel. I opted for the tikka paneer ‘wrapinni’, which was stuffed with beautifully mild cheese and subtle Indian flavours and plenty of salad. I would definitely recommend! They also sell a range of fruit and breakfast smoothies, juices and a soup of the day. 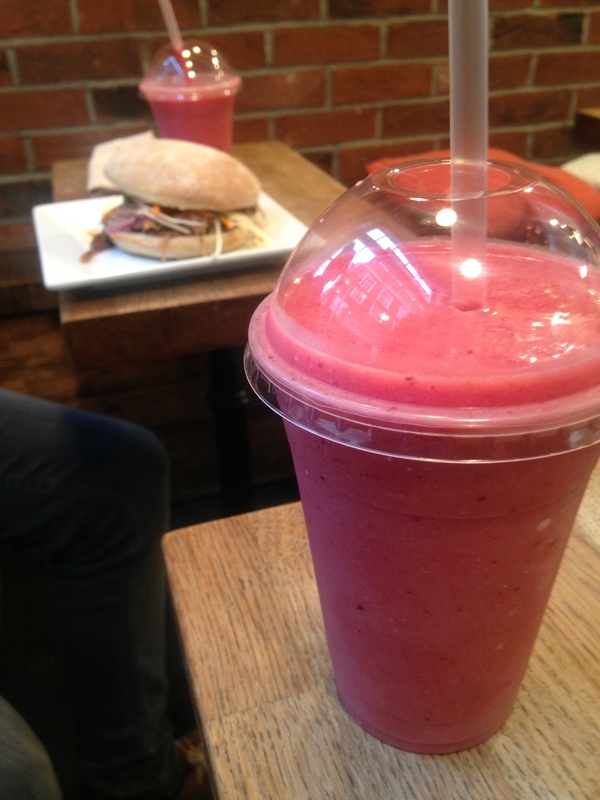 I went for the pom cherry smoothie, which tasted exactly like cherry sweets, only good for you! 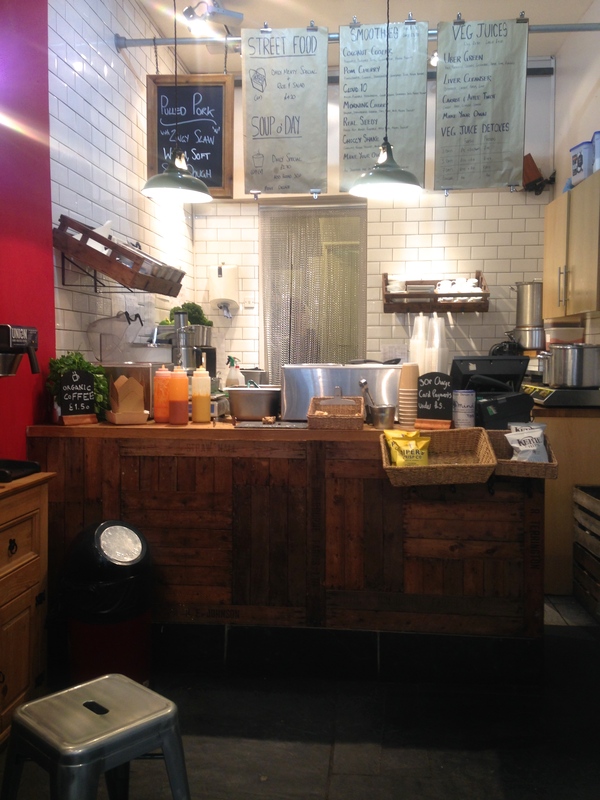 There are also hot drinks, including organic coffee, and meat options such as the pulled pork bun on the menu. The chalkboard in the cafe also gives lots of information on how the ingredients are sourced from farms and all the food is made in the kitchen, which is a lovely touch and makes you feel like you’re eating something that’s full of goodness! Overall I had a delicious lunch here, and would love to come again if I’m ever in the York area. 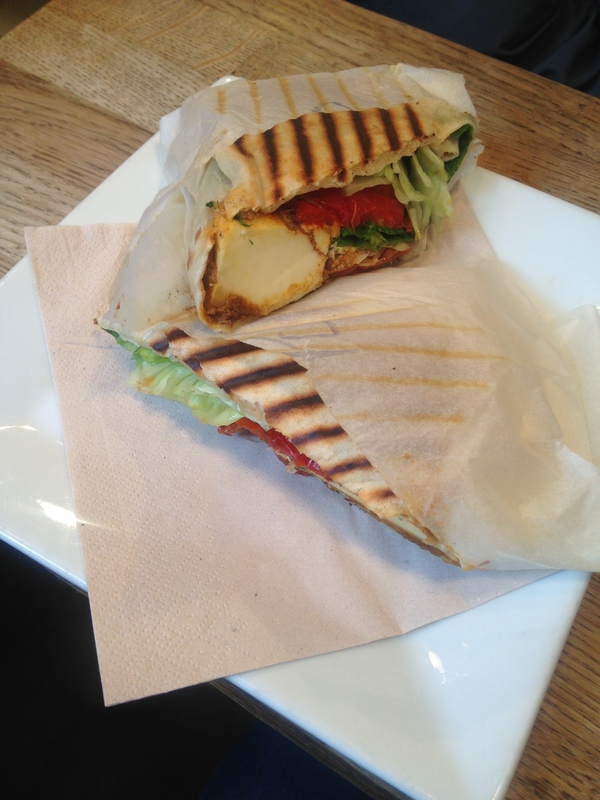 I would thoroughly recommend to anyone after a quick, healthy and tasty lunch made with a real love for proper food! As a fellow Londoner, I won’t be going to this place in the near future but if i ever do go to York I will make sure that I pop in!